A reader writes: "You might want to warn drivers to avoid the residential streets around here. I'm on Gunnison between Sheridan and Marine Drive, and we've been watching car after car get stuck in the snow all day today. 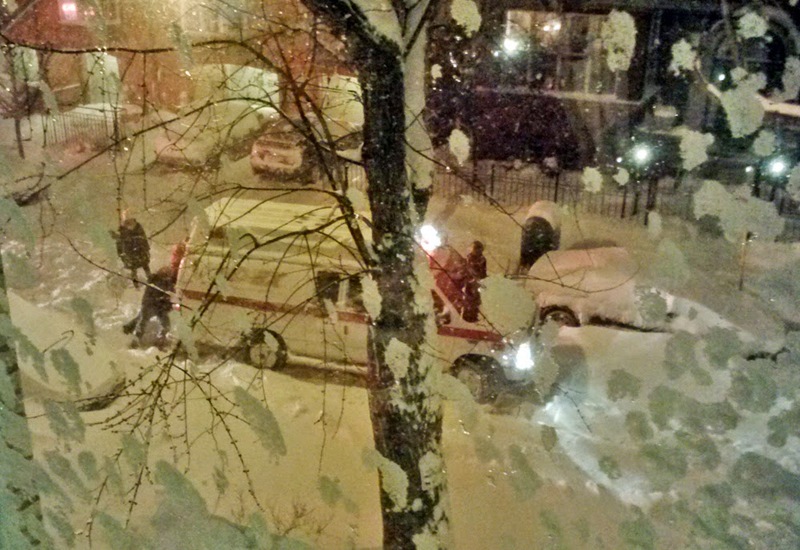 There's currently a pair of ambulances stuck here, despite a bunch of neighbors' valiant efforts at digging/pushing them out. I think they must have called a tow truck, because everyone departed the scene, but they're still stuck as of 11pm."